One of the founding principles of Tennessee Blood Services is to protect your rights and health. Please read below for more information about donating human blood for research, and then refer to our eligibility requirements. Your donation may be used by the scientific community anywhere in the world for research, or diagnostics. 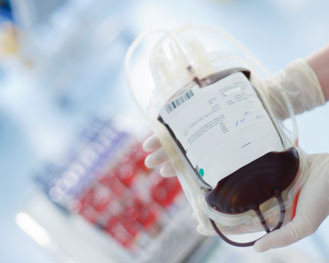 Blood components collected include human red blood cells, white blood cells, plasma and platelets. Answering the questions during the initial interview honestly and openly is very important as your answers may affect the health of another person. The health history gathered by the Tennessee Blood Services trained profes- sional is completely confidential except as required by law. For example, if your blood tests positive for any viral infection test administered, you’ll be notified confidentially. Our pleasant, courteous employees make your blood donation a positive experience, and we hope you’ll be back to donate soon. Once you’ve been cleared to donate, you’ll be escorted to a comfortable reclining chair where the blood will be drawn. After a few minutes of rest, you’ll be ready to go. Every possible medical precaution is taken to protect the health of our donors and eliminate the risk of infection. Sterile needles and bags used to collect blood are never reused.